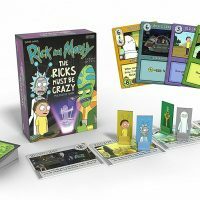 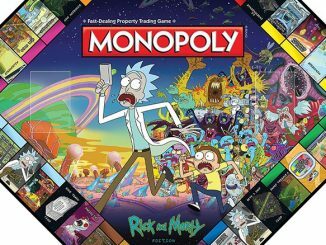 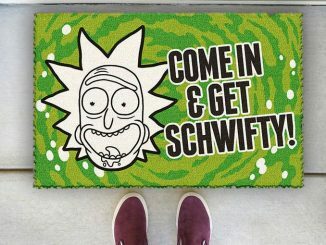 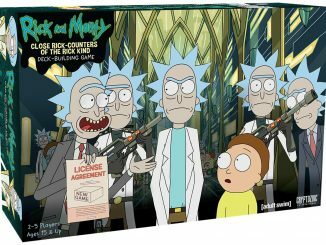 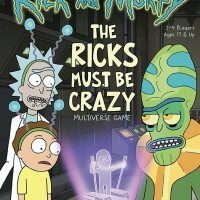 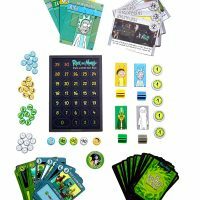 Rick and Morty: The Ricks Must Be Crazy Multiverse Game is a brand new board game from Cryptozoic Entertainment. 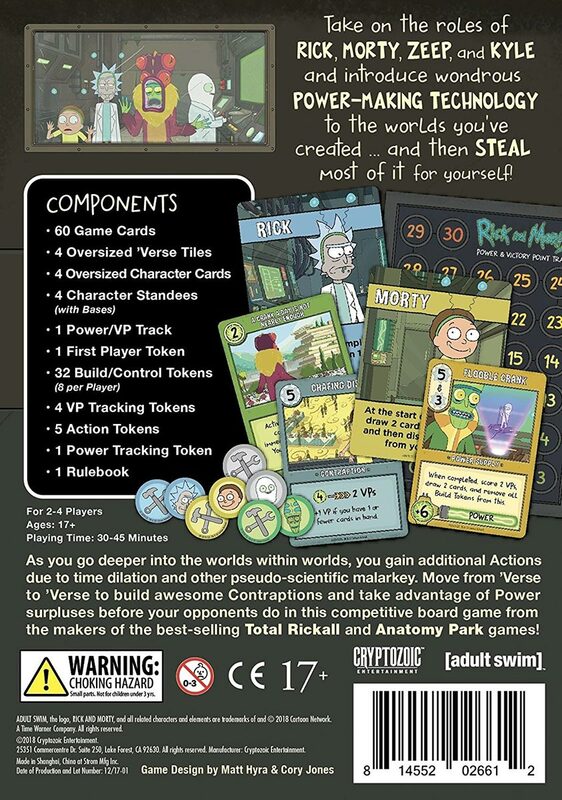 In the game, you introduce marvelous power-making technology to the worlds you’ve created (stealing most of it for yourself) as you can take on the roles of Rick, Morty, Zeep, and Kyle. 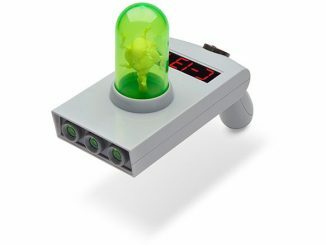 Zeep Xanflorp is a scientist within Rick’s Microverse Battery who creates a Miniverse, and Kyle is a character in Zeep’s Miniverse who created his own Teenyverse. 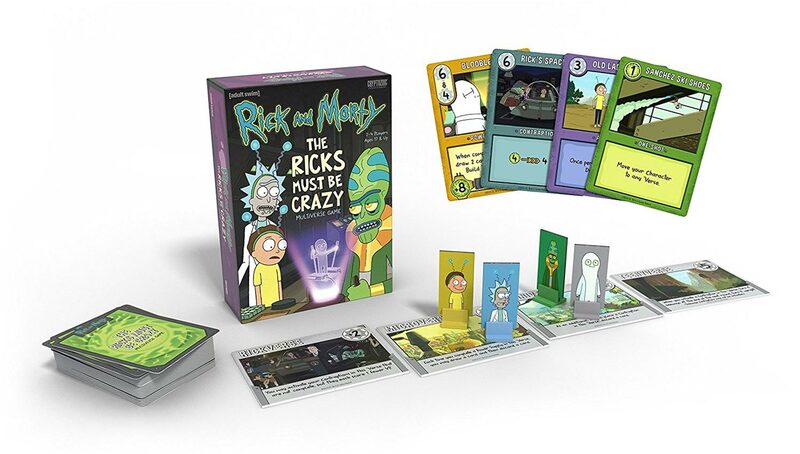 Taking place in four locations from The Ricks Must Be Crazy episode of Rick and Morty, this engine-building game has you spending your actions to build Contraptions and Power Supplies. 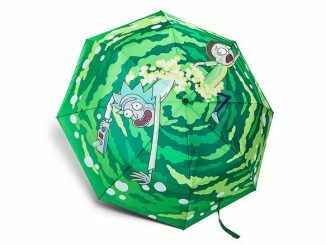 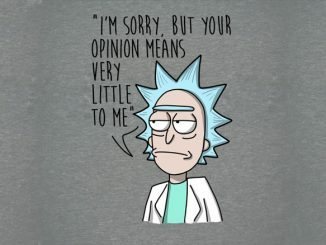 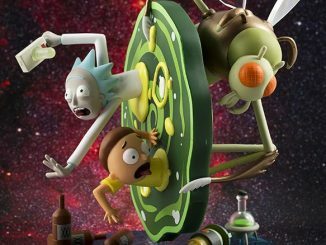 You can even move to a different ‘Verse: the Rickverse, Microverse, Miniverse, or Teenyverse. 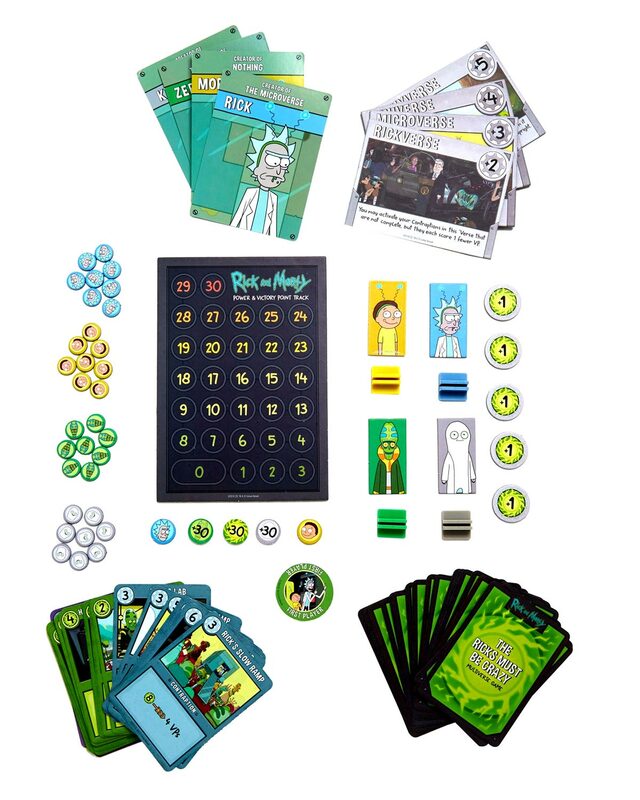 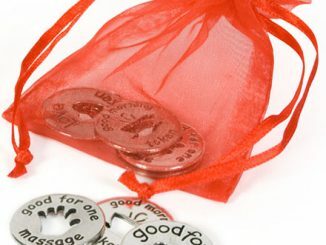 The game includes 60 game cards, 32 build/control tokens, 4 verse tiles, 4 character tokens, 4 VP tracking tokens, 5 action tokens, a first player token, a power/VP track, a power tracking token, and the rulebook. 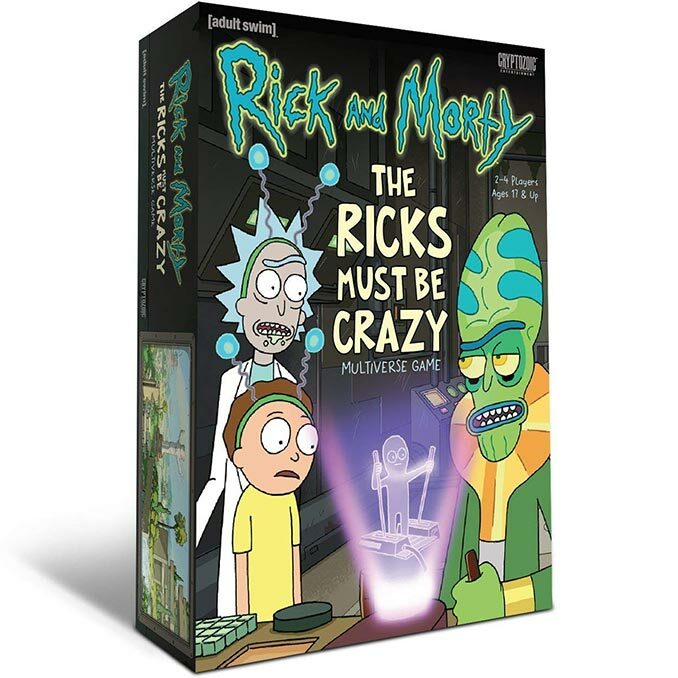 This is an engine-building game (of sorts) that takes place in the four locations (“’Verses,” we call them) from the popular episode “The Ricks Must Be Crazy”: the Rickverse, Microverse, Miniverse, and Teenyverse. 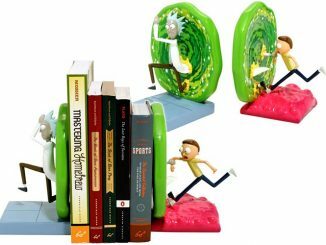 Due to time dilation and other pseudo-scientific malarkey, the lower you travel in the ’Verses, the greater number of Actions you’ll have each round. 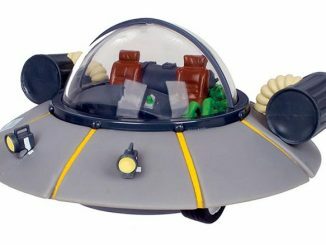 But some of those lower ’Verses are a bit primitive, so the Contraptions you build to use all that sweet Power might not work so well! 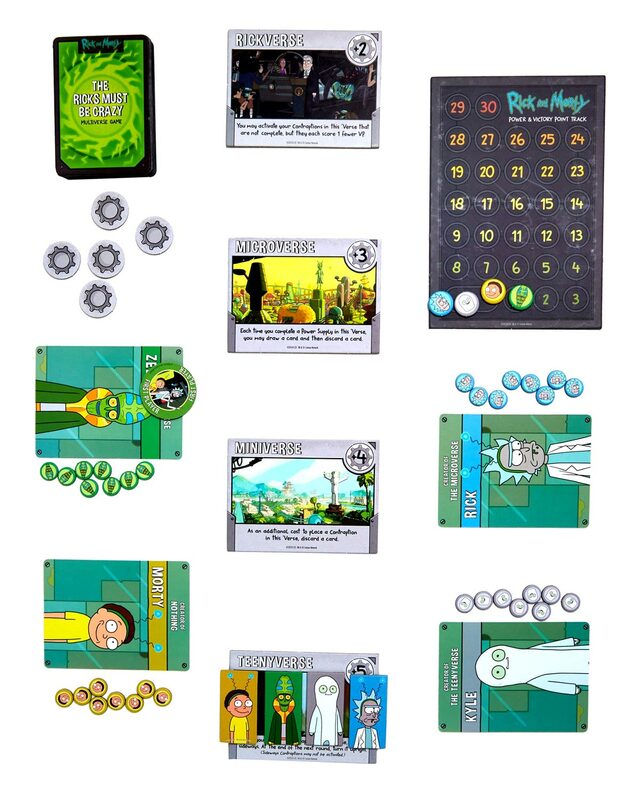 During your turn, you’ll spend your Actions to build Power Supplies and Contraptions and even move to a new ’Verse to take advantage of some excess Power there. 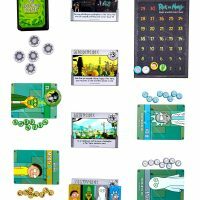 At the end of each round, the Power generates from the bottom ’Verse up, and players can use that Power as it travels from ’Verse to ’Verse to play One-Shot abilities, use Character Abilities, and power-up their Contraptions. 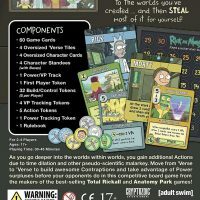 Player order matters in each ’Verse, so hopefully your opponents left you some Power to use! 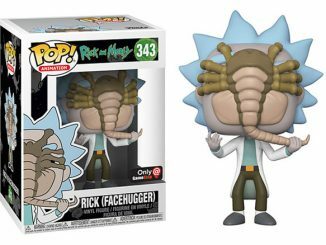 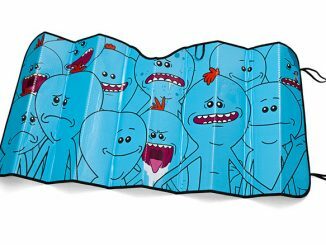 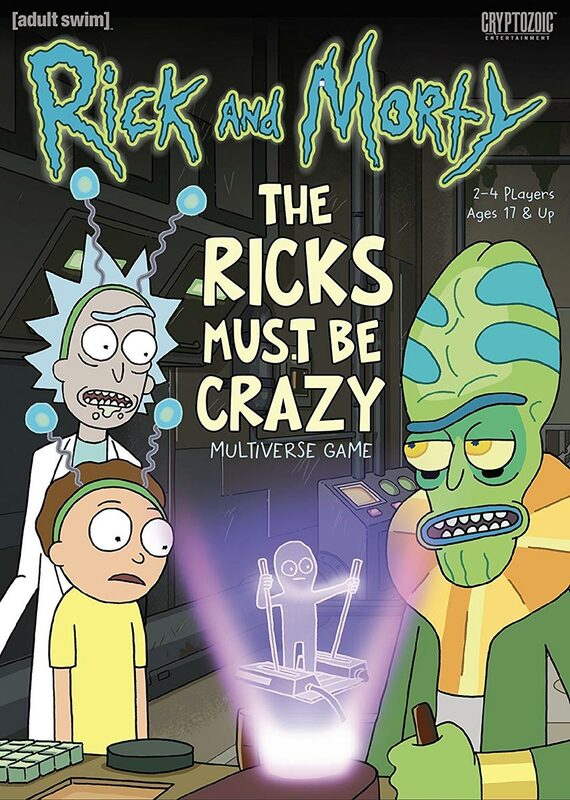 Rick and Morty: The Ricks Must Be Crazy Multiverse Game is available for $22.90 at BoxLunch.